Toughsorba acoustic panels are made with natural wood fibres from 100% sustainable sources. These wood acoustic panels are tough and available in any RAL colour, depending on quantity. They can be used on ceilings and high level walls where resistance from ball impact is important. This robustness, along with multi-colours, makes them ideal for use in reducing reverberant noise levels in a wide variety of buildings such as schools, gymnasiums, restaurants, offices, leisure centres, cinemas, community halls, churches, swimming pools, etc. 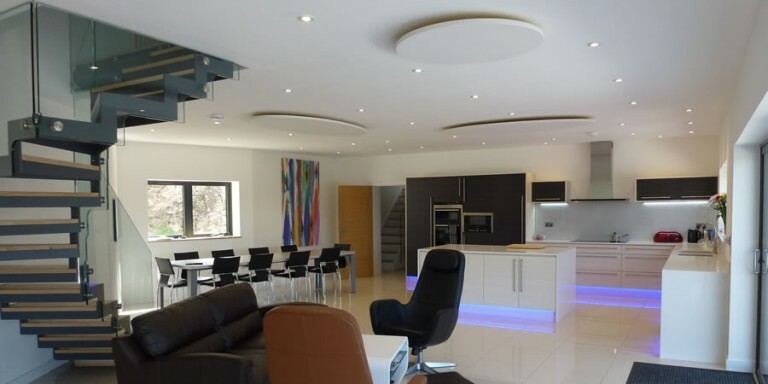 of the panels to any colour, such as RAL, NCS, BS makes the Toughsorba panel the perfect choice for creative design, combined with good acoustics as they achieve Class A acoustic absorption performance, which is the highest class. 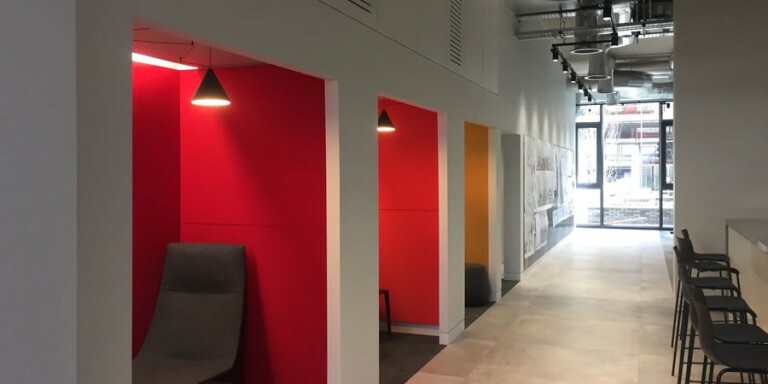 The installation of Toughsorba acoustic panels is part of the final interior lining and may only be carried out under controlled humidity and temperature conditions. All dust causing measures must be completed before starting the installation. As the panels are made from natural product, make sure you acclimatise them for 48 hours before use. Store the panels flat and protect against moisture and dirt. The panels must be kept dry and should be stacked clear of the floor and care must be taken not to damage edges or the surface of the board. The packaging does not protect the product against rain. The panels are not resistant to direct, prolonged effects of water like rain, condensation and ground moisture. The panels have a “directional” grain on the face pattern and therefore make sure that you check the grain run on each panel, to ensure that they all run in the same direction. 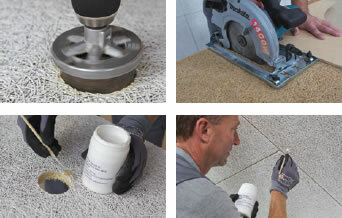 Cutting: Use a circular saw with dust extractor to cut the panels. Bevels can be formed afterwards with a saw blade set at an angle, if required. Cut the panels from the face side up. The rear surface of the panel is unfinished.